The Maldives are home to some of the most luxurious island resorts in the world; think thatched overwater villas, infinity pools, glistening turquoise oceans, and swaying coconut palms. With over 105 Maldives resorts to choose from, it can be really tough to know what to pick – especially when you take into consideration the huge amount of boarding options that are on offer. All inclusive, full board, half board, bed and breakfast, and room-only options are all available there, and sometimes the lines are blurred between what and what isn’t included in each type of package. 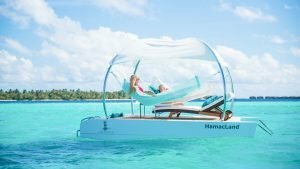 If you’re thinking of heading to the marvellous Maldives but not sure on what a full board package includes, then read on. We’ve done all the research for you so you can easily understand exactly what your Maldives full board getaway entails, and see if it’s the best option for you. What is Full Board in the Maldives? Full board simply means that you will have your breakfast, lunch and dinner included in your Maldives stay. Breakfast in the Maldives is typically a large buffet where you can choose from a selection of local and European favorites, such as freshly baked bread, exotic fruits, eggs, and pastries. Lunches and dinners will vary depending on the resort; some will also be served buffet-style, while others will be a la carte. Unlike an all-inclusive packages, full board does not typically include alcoholic beverages, soft drinks and snacks. However, full board options are often excellent value for money and cost considerably less than in all inclusive packages in the Maldives. Herathera Island Resort (Canareef) on the Addu Atoll offers a great value full board program. This lovely laid-back resort has more of barefoot vibe compared to some of the opulent mega resorts dotted around the Maldives. Here you’ll find manicured lawns, lush jungles, mangroves and paper-white beaches all waiting to be explored. The spacious private villas feature decking areas that allow you to lounge under the stars, and well as jaw-dropping bathrooms and a glorious pool to boot. A great thing about this resort is that seaplane transfers are included in both the full board and all inclusive packages. Click here for more photos and to book Herathera Island resort. Hurawhali is a stunning boutique and chic resort where attention to detail is the name of the game. The stylish villas perch above the warm waters of the glistening indian ocean, and many even come with a private pool, lounge area and huge open-plan bathroom. The on-land options are little more wallet-friendly, and allow you to stay steps away from those soft sands. 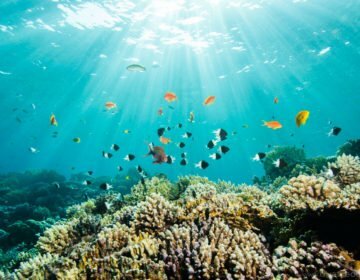 What really sets this resort apart from the others is the 5.8 Undersea Restaurant, where you can actually dine underwater as you marvel at the marine life. There’s also several more restaurants and even a champagne pavilion where you can sip on something sparkling while watching the sunset. Click here to see the latest rates on Hurawhali Resort. Is a Full Board Maldives Holiday Right For You? Maldives full board is always a great option for most holidaymakers. This is because you will have all of your meals paid for in advance, so you don’t have to worry about overspending on that budget. The Maldives are obviously in a very remote location, which means that they have to import almost all of their food and drink – bar fresh fish and coconuts. For this reason, importing goods can be very costly indeed, and on top of this there is a rather hefty import tax as well as service charges on all meals. So a simple dinner for two can end up costing way more than you would normally pay in other parts of Asia. So when you choose a full board option it will give you a little peace of mind knowing that you can enjoy breakfast, lunch and dinner without even having to think twice about how much it’s going to cost you. It is also particularly beneficial if you’re travelling with kids, as costs will often add up very quickly if you’re having to shell out for each meal for all members of your family. There are other accommodation and boarding packages which may be better suited to your needs. If you like to enjoy a drink, or to have every aspect of your vacation paid for in advance, then you may want to consider and all inclusive board option. 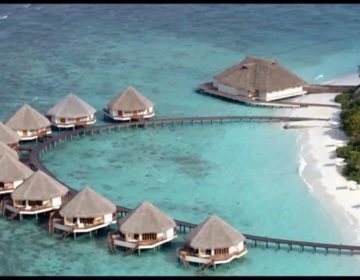 There are five main types of accommodation packages which are offered in the Maldives, with the most popular of them all being the all-inclusive package. 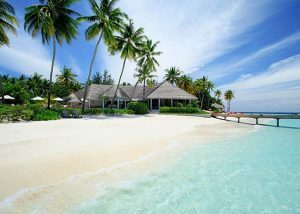 In fact, the Maldives have one of the highest concentration of all-inclusive resorts in the world. As the name suggests, all inclusive includes almost everything that you need for your stay. This is breakfast, lunch and dinner, snacks, soft drinks, and alcoholic drinks. Some resorts will go above and beyond to include extras such as free ice cream, while some will even include a fully stocked mini bar in your room that you can also enjoy free of charge. When you stay in a Maldives resort, you’re going to be on a pretty remote island so you are never actually going to venture that far. This option is excellent if you want everything taken care of before you arrive. 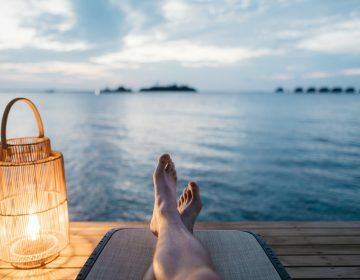 It’s also the best choice if you really like to enjoy an evening cocktail or sundowner or two, as these can often be rather pricey should you have to purchase them separately. It’s worth double checking the fine print of the package that you are booking just to see what and what isn’t included, as different resorts have different takes on all inclusive packages. For example, some will have cut off times for drinks, while others will only include locally produced alcohol. Others will feature rather generous diamond packages which will include way much more than just drinks and food. Some even offer seaplane or boat transfers, a private butler, gift certificates for the spa, snorkelling tours, water sport activities and the likes. If you’re heading out on a romantic Maldives getaway, then we suggest that you choose an adults all inclusive resort, as these places will have a much quieter and more chilled vibe that’s perfect for a loved-up vacation for two. Are you on a Maldives honeymoon? You may like our article on our insider tips for a romantic getaway. Some of the best all-inclusive resorts in the Maldives are the Centara Grand Island Resort and Spa, the Lux* South Ari Atoll (click the links to get the latest rates). Half board accommodation options in the Maldives are very similar to the full board packages, except that lunch is not included in the price. This is a good flexible option if you’re looking for something a little more economical than say perhaps an all inclusive board package, yet you still want to know that two meals a day all paid for. It’s a good option if you are staying in a resort that has multiple restaurants, so you can choose where to dine for lunch. This option is pretty rare in the Maldives, although it is becoming a little more popular on some of the local islands away from the fancy mega resorts. You will receive breakfast with your room stay, which can be something like a simple continental spread that includes fresh juice, bread and cereal and fruit. It can be a good option if you’re on a bit of a shoestring budget and also if you think you’re going to spend a lot of time exploring local islands rather than lounging around the hotel or guesthouse during the day. 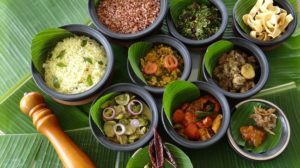 In fact, it will give you a nice chance to sample some of the local delicacies which can be pretty affordable too. Just remember that you will have to pay for all of your own drinks and activities on top. Room only is exactly as it sounds, as in you pay for the room and that is all that is included in your stay – all meals, drinks and extras will have to come out of your own pocket. This is less of a popular option in the Maldives, and because of the high drink and food prices it’s easy to understand why. If you choose to go for a room only option then you should make sure that you put aside a large holiday fund to be able to cover all of your additional expenses and not have to worry about having any nasty surprises when it comes to checkout. Room only can be a great option if you have a rather large budget to play with, or if again you are choosing to stay on one of the local islands and you think you’ll be doing a lot of adventuring around. Some room only options will come with a fridge or even a little kitchen, so you can choose to prepare some of your own meals there. 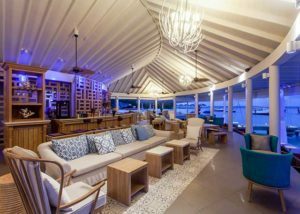 If you are staying on the main island of Hulhule then we can recommend the Hulhule Island Hotel – click here for photos and to book your stay. It’s worth noting that quite a few of the resorts in the Maldives actually offer multiple boarding options. So for example, you could choose to go for an all inclusive package or even half board option if that’s better suited to your needs. If you’re on a budget, check out our guide to the best cheap Maldives holidays. Are you sold on the idea of a Maldives full board holiday? If so, there are a few little tips and tricks that will really help you to get the most out of it. The first thing is to make sure that you get all the information on what your package includes as soon as you arrive at your resort. There will be helpful staff on hand to explain all the ins and outs, show you where the dining facilities are, make sure that you understand the times that you are able to dine so that you don’t miss any of your meals. It’s also worth asking about the activity program when you check-in, and see what free classes that they have an offer so that you can plan out your holiday as soon as you get there. It is also wise idea to scope out the snacks situation when you arrive. Some resorts for offer little spots where you can enjoy a tasty treat in between meals to keep you going. If this is not the case, then you may want to stock up on a few little treats for your room so that you don’t have to worry about having to find something to eat when you’re feeling peckish. So well at first it may seem a little overwhelming to differentiate between all inclusive, full board, half board, bed and breakfast, and room only, but actually each other their own perks and benefits. What you choose to go for a should depend on both your budget and your needs. Don’t fret too much though – it’s the Maldives, and whatever Maldives resort you choose to go for you are going to have the most incredible time away. You can check out this guide for everything else you need to know about booking a Maldives holiday. Happy travels!